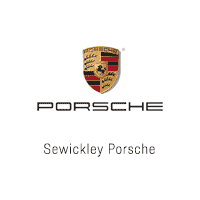 For over 40 years, Sewickley Porsche has been catering to the needs of driving enthusiasts. Our founder Bob Nikel spent 30 years as a competitive driver and served as president for the Porsche Club of America’s Northeast Ohio Region from 1974-1976. Since the beginning, we’ve been more than just a place to buy a Porsche — we’re enthusiasts just like you. Our commitment to personal attention and superior service is what separates Sewickley Porsche from other dealerships, and why we say we’ve been selling Porsches “One at a Time” since 1976. Ron Kean is a most patient salesman. Chuck France is a very thorough sales manager. Together they help me to feel confident that I am buying the right car, and at a reasonable price. I basically won't buy a car at any other dealership in the city. Ron Kean was extremely knowledgeable and friendly. He was respectful of my time and got the work done. I highly recommend him. I got a great deal on my new car. We just purchased our first Porsche from Sewickley. The entire team was so helpful, friendly and treated us like family. Dwight, Ron, Michael and Casey all made us feel welcome and helped us think through our selection which we couldn’t be happier with. Thank you! If you are in the market for a great car I highly recommend you come and get to know these guys. We’re already looking forward to purchasing our next Porsche from this great team. I had ordered a cayenne and from the very beginning the sales associate Lucas was very helpful and did anything I asked in a timely manner. Car ended up coming in earlier than we expected which was a bonus. When it was time to pick up the car Lucas had everything ready as well as the financing with Andres and Michael with the tech. Everything was explained and went seamlessly. This is second time I bought from there and find it 5 star all around. Thanks to all those that assisted me.